Many homes in the San Diego area are older homes built and wired long before all of today’s modern appliances came along. These houses weren’t designed or built with all these appliances in mind so as we add more and more modern technology to our homes we have to be sure that the original wiring is capable of handling this demand. If you have space in your panel it may be possible to add extra circuits but if your panel is full it maybe time to consider a new panel upgrade and possibly some new wiring. Did you know that the 2011 Electrical Code states that the following appliances should have there own dedicated circuits. Anytime you install a heavy duty electrical appliance it needs to have its own dedicated circuit with the appropriate size wire and circuit breaker. 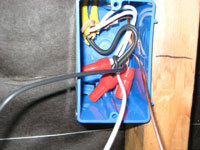 The size of the wire and circuit breaker will depend upon whether the electrical appliance is 120-volts or 240-volts. 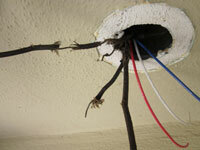 Some older homes may need to have the wiring replaced to accomadate new appliances. 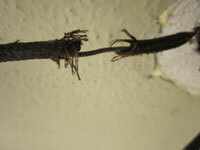 If you are considering rewiring your home call us today for a free estimate and answers to any questions you may have.